Hello dear readers and welcome to my fave meme of the week! I received two books this past week, both for review and both look really yummy. 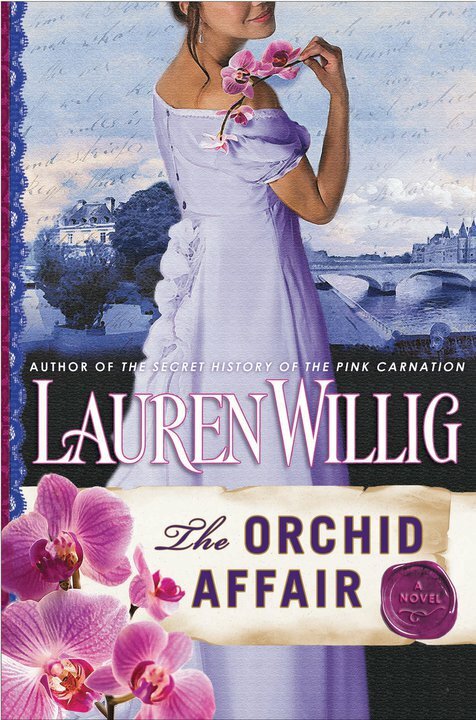 SYNOPSIS: Laura Grey, a veteran governess, joins the Selwick Spy School expecting to find elaborate disguises and thrilling exploits in service to the spy known as the Pink Carnation. She hardly expects her first assignment to be serving as governess for the children of Andre Jaouen, right-hand man to Bonaparte’s minister of police. Jaouen and his arch rival, Gaston Delaroche, are investigating a suspected Royalist plot to unseat Bonaparte, and Laura’s mission is to report any suspicious findings. At first the job is as lively as Latin textbooks and knitting, but Laura begins to notice strange behavior from Jaouen—secret meetings and odd comings and goings. As Laura edges herself closer to her employer, she makes a shocking discovery and is surprised to learn that she has far more in common with Jaouen than she originally thought. . . . As their plots begin to unravel, Laura and Jaouen are forced on the run with the children, and with the help of the Pink Carnation they escape to the countryside, traveling as husband and wife. But Delaroche will stop at nothing to take down his nemesis. With his men hot on their trail, can Laura and Jaouen seal the fate of Europe before it’s too late? SYNOPSIS: A long lost letter arrives in the post and Edie Burchill finds herself on a journey to Milderhurst Castle, a great but moldering old house, where the Blythe spinsters live and where her mother was billeted 50 years before as a 13 year old child during WW II. The elder Blythe sisters are twins and have spent most of their lives looking after the third and youngest sister, Juniper, who hasn’t been the same since her fiance jilted her in 1941. 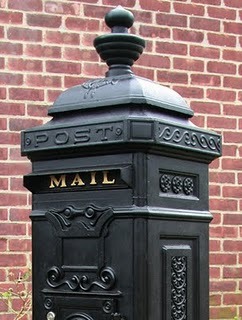 That's my mailbox...how about yours? I'm finally biting the bullet and starting the Willig books. I just picked up the first one at the library. I also received the Kate Morton and am looking forward to it! I am looking forward to reading Distant Hours. 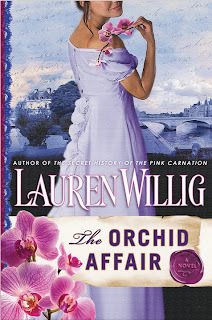 The Orchid Affair looks interesting as well. Enjoy both books! The Distant Hours sounds really good! Happy reading! 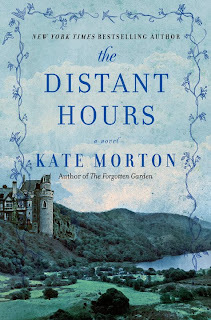 I love Kate Morton, and cannot wait to read the Distant Hours. I really like her vintageish/gothic way of writing. She and Diane Setterfield, the author of the Thirteenth Tale. 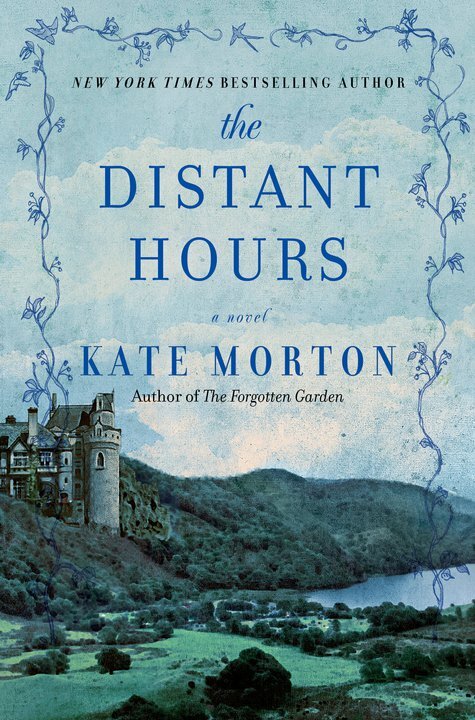 The Distant Hours is my most anticipated book to come out in a while. I practically lept with joy when it came in my mailbox. I've already dove into it! I can't wait to read both of these novels. Morton's especially. I LOVED both The House at Riverton and The Forgotten Garden. I find Willig's books to be such great fun. Both of these look great! I have the first 5 Lauren Willig books but haven't started the series yet. Orchid Affair is new to me. Looks interesting. Kate Morton! I just bought Pink Carnation to start this winter -- I'm v excited!